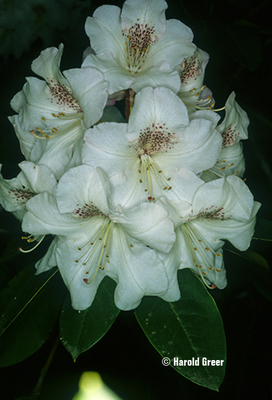 Comments: Large, five-inch, white flowers with dark spotting on the dorsal petal are held in upright trusses composed of up to 19 flowers. They sit atop a bed of large, dark green semi-glossy leaves. Though rated at six-feet it will grow much larger and is best when placed as a background plant.